The location of the facility is no longer healthy both for trading activities and residents living in the neighbourhood. The Olusosun dumpsite is Lagos’s most prominent refuse dumpsite. The mountain of refuse along Lagos-Ibadan Expressway has taken a life of its own and hundreds of Lagosians eke out a living scavenging for valuables from the dumpsite. As you read this, the dumpsite is on fire, with pillars of smoke billowing from it and constituting hazard to the neighbourhood. Now, the Lagos State governor, Akinwunmi Ambode is making promises to make the lives of all those scavengers bearable after the fire incident which forced his government to shut down the dumpsite. “We are not here to cause pain for you, we will engage all of you on how we can improve on the environment and also make life bearable for you and your children,” Ambode said. 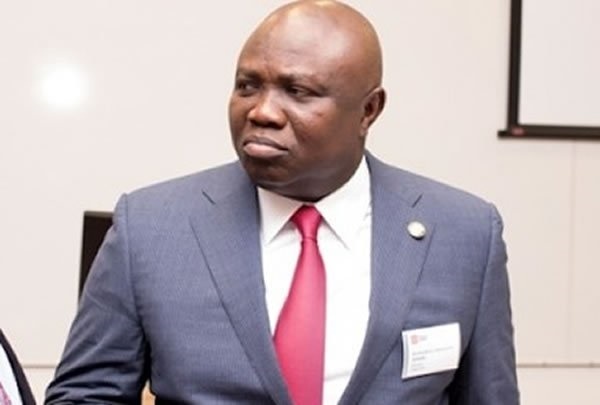 Chief Press Secretary to the Governor, Habib Aruna, said in a statement that Ambode gave the assurance to the scavengers when he visited the dumpsite after the fire incident. He said that there was the need to engage the scavengers and workers following the shutdown of the dumpsite. According to him, the location of the facility is no longer healthy both for trading activities and residents living in the neighbourhood. He said that aside the negative health implication of the site to the people, the structure of the facility was also risky and susceptible to all forms of hazards such as fire outbreak.